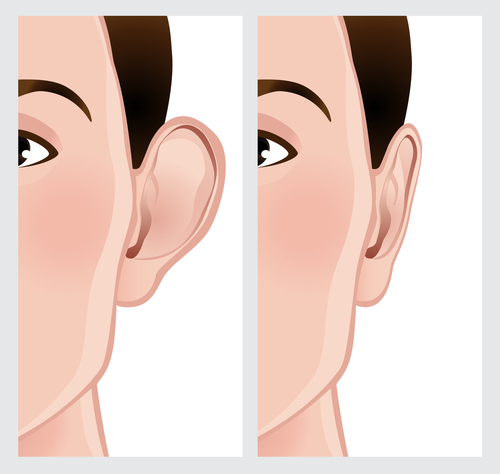 Protruding or misshapen ears can cause many people to feel self-conscious about their appearance. While these emotional effects can affect men and women of varying ages, teenagers and children typically experience the most negative impact. Ridicule from a child’s peers can disrupt his or her self-esteem and outlook. With the school year officially over, now is the perfect time for younger individuals to undergo cosmetic treatment and improve the appearance of their ears. At his New Jersey practice, Dr. Jeffrey Wise has helped countless numbers of children and teenagers correct imperfections and deformities of their ears through otoplasty surgery. Also known as ear-shaping surgery, this procedure is very effective for correcting any protrusion and enhancing the shape and size of the ears. Although otoplasty can be performed on individuals as young as five or six years of age, it is becoming more common for adults to undergo this procedure. The method Dr. Wise uses during surgery depends on the individual patient’s present condition of his or her ears. Dr. Wise performs otoplasty at his fully accredited office-based surgical center in New Jersey for his adult patients and at an ambulatory surgical center for his young patients. During surgery, incisions are made behind the ears to trim, remove, and restructure cartilage. Since the incisions are strategically placed in the folds and creases of the ears, scarring will be nearly inconspicuous to the naked eye. Dr. Wise has written numerous book chapters on ear-shaping surgery and teaches his techniques as a clinical professor of facial plastic and reconstructive surgery at the NYU School of Medicine. The results of otoplasty can be dramatic and often life-changing. In fact, otoplasty performed on a child before primary school age often has a tremendously positive impact on the child’s self-esteem. Children and teenage patients no longer feel embarrassed like they had before surgery and can feel more confident about their appearance. In some cases, ear surgery can even reduce or eliminate the bullying that some younger patients experienced before the procedure. If you are interested in otoplasty for you or your child with our double board-certified facial plastic surgeon, Dr. Jeffrey Wise, contact the Wise Center for Plastic Surgery today. Call (973) 305-1400 or conveniently fill out our online contact form. Dr. Wise and his well-trained staff look forward to meeting you soon.